first time | Hi. I'm John. After a frustrating stint with Windows Vista and seeing my enjoyment whilst using Linux, Amy (my girlfriend) has decided to take the plunge and install Mandriva. This is a small recount of what transpired during that introductory period. I downloaded the release candidate for the new Mandriva 2009.0, burned it to a CD, and attempted to boot up. Unfortunately, there appeared to be several bugs remaining in this distro: After showing the initial Mandriva loading screen, it went straight to a flickering cursor in the top-left of the screen. Oh well, it is a release candidate. Sensing that my girlfriend was slightly disappointed, I decided to go to plan B and download last season’s stable release — 2008.1. In my opinion, this is the best release of Mandriva Linux to-date. I downloaded the ISO for Mandriva Linux 2008.1, burned it, and awaited the dreaded blinking cursor yet again. Success! The blinking cursor was nowhere to be found. It went straight into KDE without a hiccup. I walked her through installing it to her hard disc using the “Live Install” icon on the desktop and everything went swell from then on. I have installed Linux quite a few times over the years on computers of friends and family. It never seems to last past the 15 minute “oh, that’s neat…” phase. I am happy to announce that Amy, two days later, is still using Linux and is very happily zooming around in KDE thanks to Compiz Fusion and all the hard work that has gone into making Mandriva Linux. Thanks, guys and gals! Amy does all of her web browsing and chatting using Firefox 3 and Kopete. We decided to leave Vista installed so she could dual-boot into Windows and play Team Fortress 2. 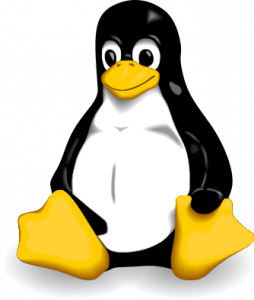 As I’ve blogged before, games seem to be the factor holding mainstream Linux adoption back. I will continue to post articles about this experiment with Linux as time goes on. In the mean-time: If you haven’t yet converted your girlfriend to Linux, what are you waiting for?